There are some knives that you finish and can't wait to sell, then there are the ones that you would love to find some excuse to hang on to. This is one I would hang onto if I could. 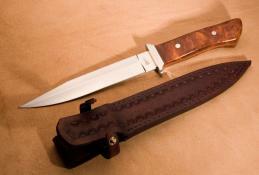 Overall the knife is 12 1/4" long, the blade 6 3/4". 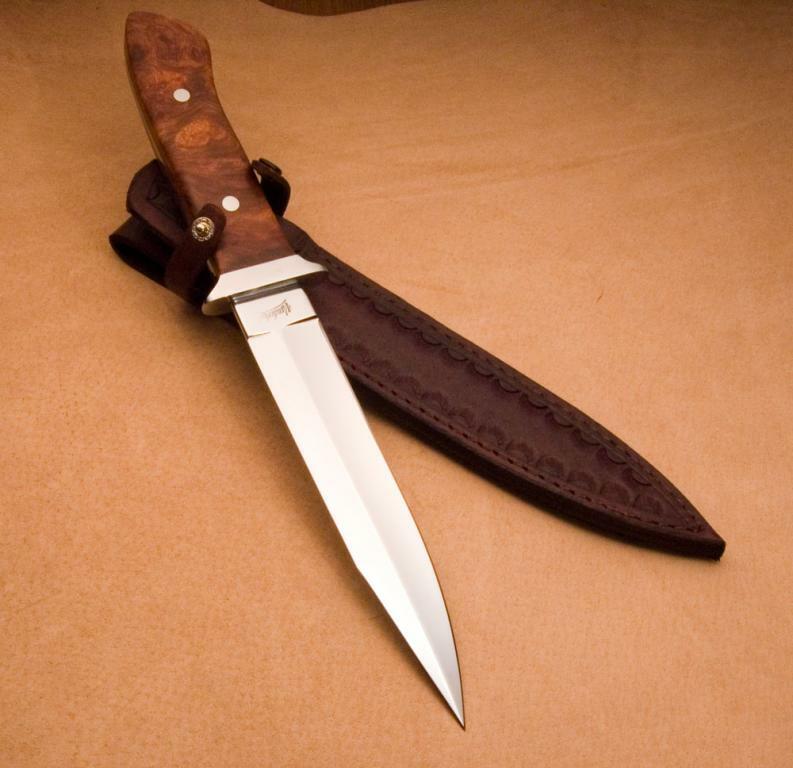 The blade is mirror polished 440C with a full tapered tang. The guard is also 440C with stainless pins. 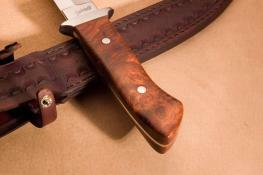 The handle has red liners for accents and the handle material is stabilized amboyna burl. The handle slabs have been sitting in my basement for years since they were not stabilized and I had actually forgotten about them along with a fairly good sized box of other unstabilized wood that I kept meaning to send out. Now I have the set up to do my own stabilization and realized I could use the wood in the box. I am really glad I I decided to use this. 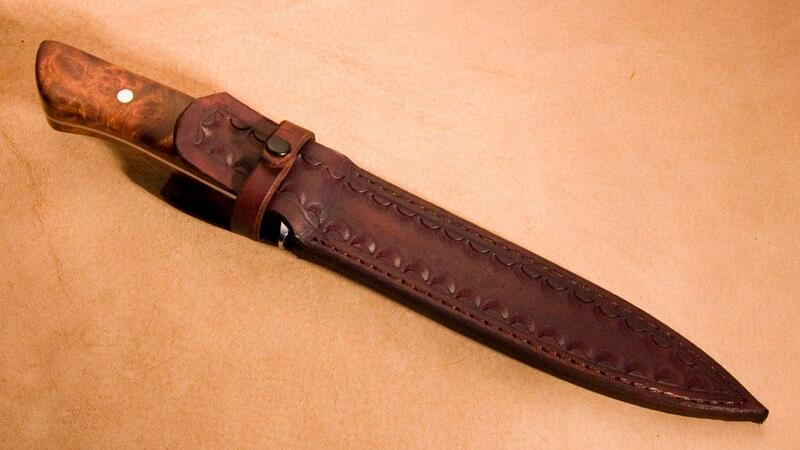 The handle is sculpted to fit the hand and it comes in the all leather sheath shown. $400 USD plus shipping.